Rep. Alexandria Ocasio-Cortez (D-NY) claimed Democrats who criticized Omar were arguing it was “unacceptable to even *question* US foreign policy.” Sen. Bernie Sanders (I-VT), running for president as a Democrat, said, “What I fear is going on in the House now is an effort to target Congresswoman Omar as a way of stifling that debate. That’s wrong.” Rivals Sen. Kamala Harris (D-CA) and Elizabeth Warren (D-MA) made similar comments. Notably, Carson did not cite any examples of “valid points” that Omar had made. That is because she never did. Omar’s target was not Israel, but the American Jewish community. Omar kicked off the controversy by tweeting last month, “It’s all about the Benjamins baby.” She was re-tweeting a comment by journalist Glenn Greenwald — a vehement critic of Israel — who lamented the fact that Congress is so supportive of Israel. Omar’s clear meaning — made even clearer in subsequent tweets — was that pro-Israel members of Congress had been paid to support Israel. Her remarks had antisemitic implications; she later apologized. That was the context of Omar’s remarks. She was complaining about Americans who support Israel, not criticizing any Israeli policy. 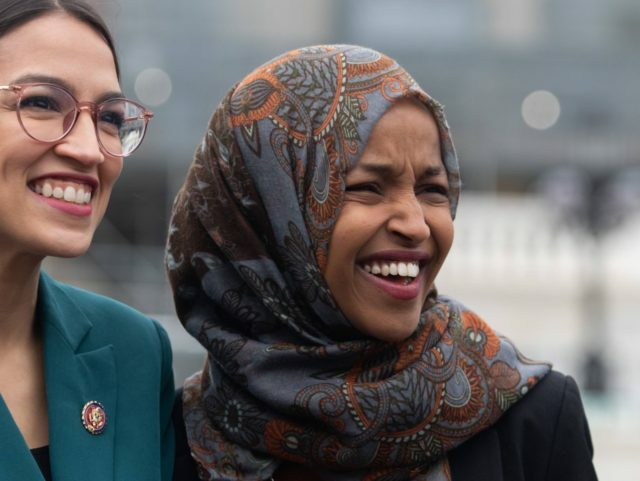 The only tangential link to any actual policy issue, perhaps, was Omar’s support for the “boycott, divestment, sanctions” (BDS) movement against Israel, which is the target of Republican criticism. Notably, Pelosi put Omar on the foreign affairs committee despite Omar’s support for BDS. She wasn’t silenced; she was promoted. Omar’s remarks have embarrassed Democrats. They have also weakened the party’s attack on President Donald Trump, whom they have falsely portrayed as a bigot. Still, Democrats lack the political will to condemn antisemitism outright. They added a condemnation of anti-Muslim bigotry to their resolution, but even that could not convince the party’s “progressives” to support it. The result: a “full-scale brawl” over antisemitism in the party. The party is giving a free pass to antisemitic bigotry — and criticism of Israel has nothing to do with it.